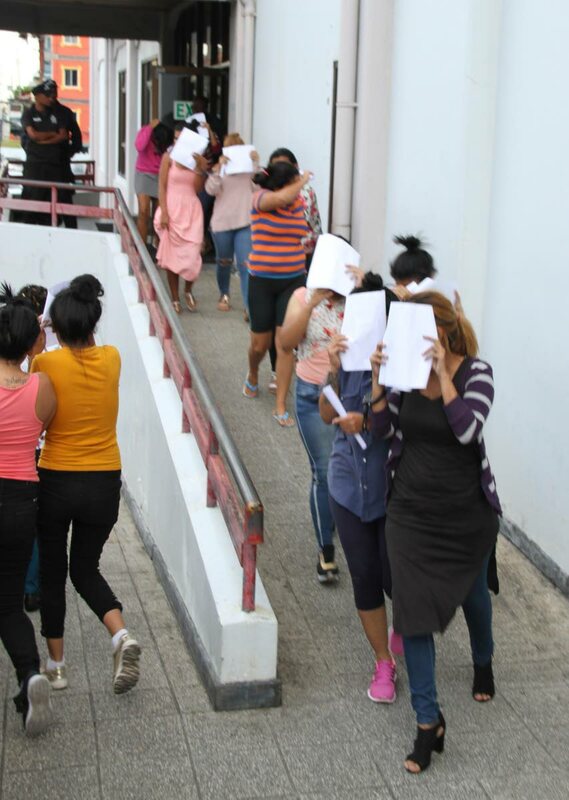 The plan to register Venezuelans who are in TT legally and illegally is not a get out of jail card for criminals, National Security Minister Stuart Young has assured. “The registration card is not going to help anyone (who is involved in criminality). If a Venezuelan who registers in this country commits a crime that person will be arrested, charged, incarcerated and deported,” the minister said in a statement today. There have been some concerns about an influx of Venezuelans streaming into the country after the announcement was made on Wednesday announcing the amnesty programme. Young explained that Venezuelans who register will be searched against an Interpol watch list and other intelligence that will be provided by the Police Service and other areas of national security. He said should an applicant appear on the watch list, that person will be denied a reprieve, detained and deported. “We are mindful that we don’t know who will be coming to Trinidad and Tobago and for this reason we have taken the decision to work with the police as well as our international law enforcement partners to vet those who are seeking to live and work among us," he said. The minister reiterated that Venezuelans who are ex-convicts and would have committed serious crimes, will not be granted registration status in TT. The registration process, Young said, is necessary because the Government is cognizant of the trying and difficult circumstances that face Venezuelans. He said in these circumstances failing to ascertain the number of Venezuelans who are here and in what numbers is not an option. In a CNC3 interview on Friday, the minister said the decision to register to Venezuelans was well thought out. Young said security forces have been locking down TT's borders and placing a lot more emphasis of the security assets in these areas. "We have been doing as much as we can to prevent illegal entry into TT, and we have been locking down not only in the waters, but we also have a number of operations on our coastlines. We certainly don't want to attract any criminal element, but if there is any, I can guarantee we are going to fight that criminality and they will not be allowed to stay in TT." Young said the Police Service and intelligence agencies will provide his ministry with any information with respect to Venezuelans committing criminal acts, or if there was a suspicion based on evidence that the police provided, adding that they will not be allowed to stay here. Young said there were problems with criminality with four Venezuelans being killed in the last week. He said they were clearly engaged in suspicious activity and were aligned with criminal elements and will not be tolerated. The minister said the amnesty programme was a process where after working for one year, they could come back in six months where they will be reviewed to ensure everything was in accordance with their registration form. "We will do some level of due diligence." Reply to "‘Not a get of jail card’"